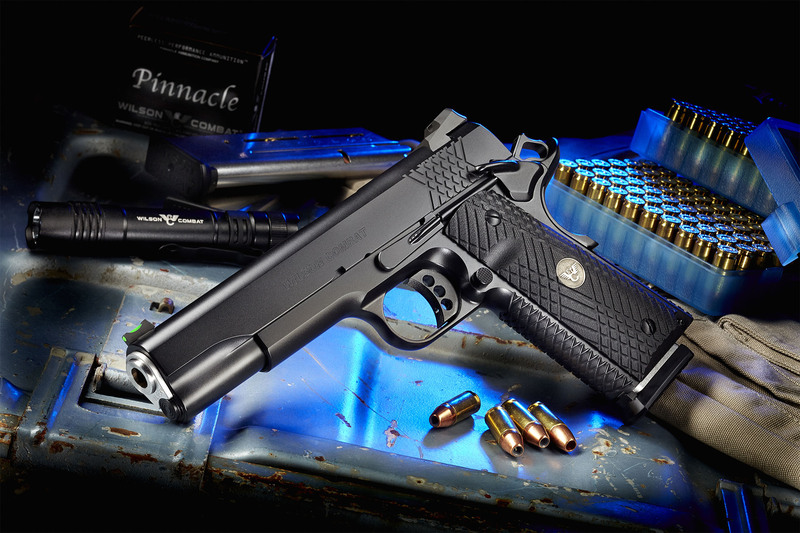 Enhanced grip texture, enhanced sight picture and Wilson Combat’s legendary attention to detail add up to a unique new offering destined to be a top choice of working operators everywhere. 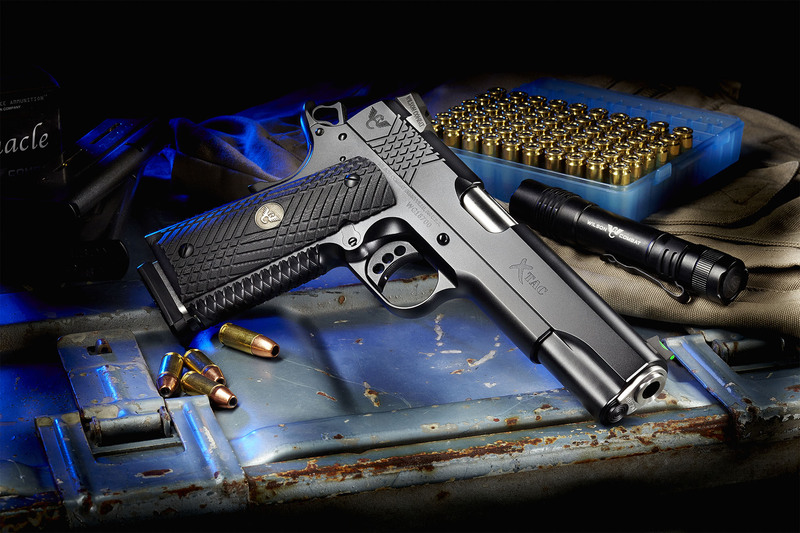 Enhanced grip texture, enhanced sight picture and Wilson Combat’s legendary attention to detail add up to a unique new offering destined to be a top choice of working operators everywhere. The new bi-directional, X-Tac frontstrap and slide treatment offer enhanced grip and improved durability over traditional checkering in severe and hard-use environments. 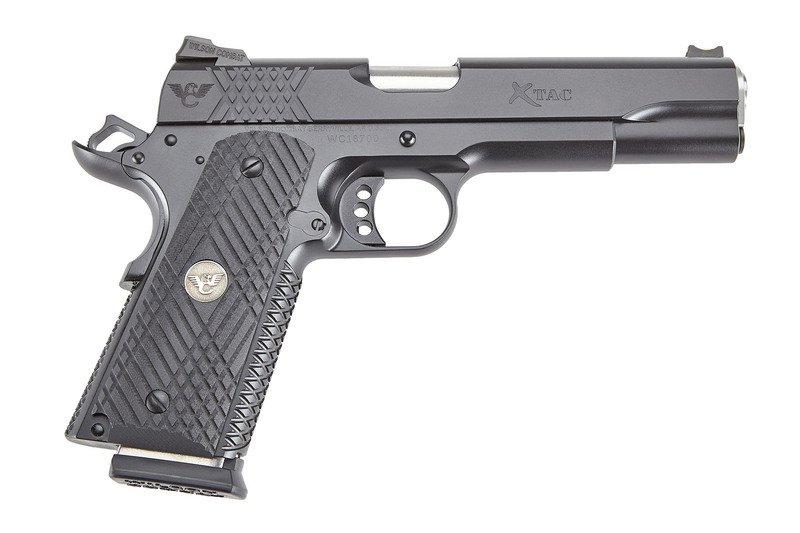 Scientifically designed to work with dry or wet hands, with or without tactical gloves, the X-Tac pattern redefines secure shooting comfort and gunhandling without the coarse, often painful nature of other grip treatments. In tandem with our G-10 Starburst grips, the X-Tac tread pattern locks securely into the firing hand and will reduce muzzle flip without snagging on clothes or cover garments. 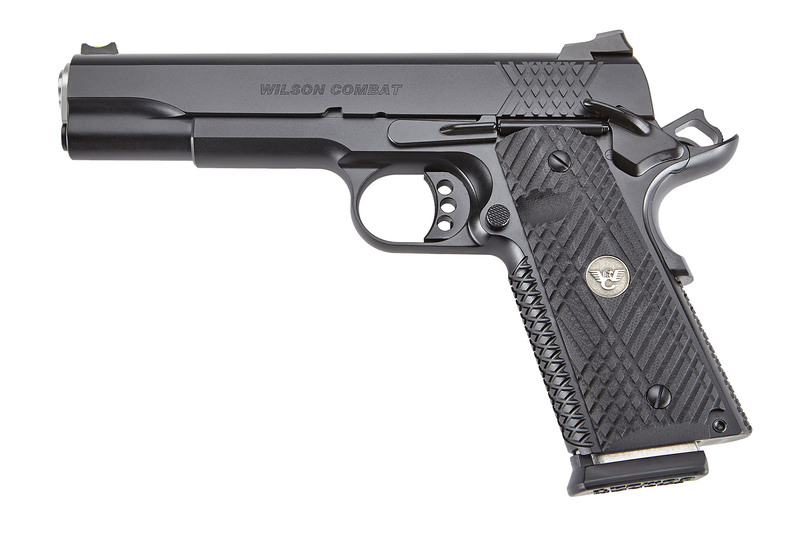 The X-Tac proudly wears our newest rear sight, the Wilson Combat® 1911 Battlesight. This high profile rear sight has a .145” wide U-Notch for optimum sighting in low-light, dynamic range conditions. The rear blade of the sight is serrated, while the notch area is recessed into a semi-circular pocket for a crisp, protected sight picture.